Lismore City Council has a range of educational resources, booklets and planning tools to help landholders manage their property and plan biodiversity actions or on-ground works. We encouragers landholders to download and use these resources, examples and templates to help you manage your property and protect our natural environment. Lismore City Council, in partnership with Southern Cross University, has developed a Farm Health Assessment Tool. This tool enables landholders to self-assess their own land management practices against those identified as ‘out-dated’, ‘common’ or ‘best’ practice' in a range of land use situations. There are suggested pathways for improvement and landholders can use the tools as a form of ‘self-monitoring’ when managing biodiversity on their properties. These booklets were developed in consultation with industry groups, landholders and relevant experts in land management. There are four booklets which focus on different land management issues in major industries in the Lismore LGA. Below is a range of examples and templates for property and site action planning. These can help landholders understand how to structure a plan that will map what assets and issues you have and help you improve your property over time with key milestones, actions and timelines. The Rural Landholder Initiative is a key part of Lismore City Council’s Biodiversity Management Strategy. It is a rural landholder capacity-building project that involves education opportunities and incentives, largely in the form of small grants. The program was designed with Southern Cross University and works with landholders to restore and enhance biodiversity assets on private land. Council’s online Interactive Mapping Service may assist you to find out environmental information about your property. Council has produced a range of booklets (available below) on the major environmental issues for five land use types in our region: beef graziers, dairy farmers, orchardists, floodplain croppers and rural ‘lifestyle’ landholders. 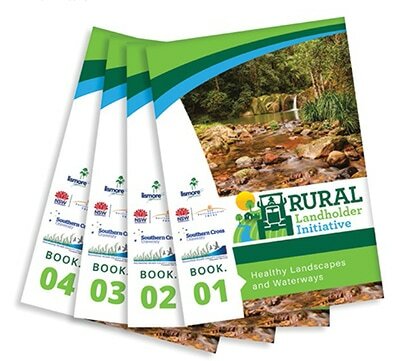 The booklets offer ideas for improving land and waterway management practices for biodiversity and includes a Farm Health Assessment Tool so that landholders can self-assess their practices. Go to the bottom of this webpage and sign up in the 'Subscribe' section for our quarterly Lismore Biodiversity News. This email newsletter will notify you of upcoming grant opportunities and field days, events, education and training opportunities, and information on weeds and treatments. Rural Landholder Initiative grants are currently closed. Advertisement will be placed in our fortnightly publication Local Matters and in our Biodiversity eNewsletter (subscribe below) when the next grant round opens. Council has produced a range of booklets on the major environmental issues for five land use types in our region: beef graziers, dairy farmers, orchardists, floodplain croppers and rural ‘lifestyle’ landholders. The booklets offer ideas for improving land management practices for biodiversity and includes a Farm Health Assessment Tool so that landholders can self-assess if their practices. We recommend you consult the booklets to gain ideas about how to improve your land management practices. These can also help if and when you wish to apply for grant funding. You can download the booklets from our Rural Landholder Initiative page, pick them up at Council’s Corporate Centre, 43 Oliver Avenue, Goonellabah, or ask for them to be mailed to you. Other professional advice is available from your local Landcare network, Local Land Services agents, Rous County Council (weeds and water) and other government and non-government agencies. For further information or advice, contact our Extension Officer Kate Steel on 1300 87 83 87. The Rural Landholder Initiative is part of Council’s Biodiversity Management Strategy (BMS) and is designed to conserve biodiversity hotspots on private land. The program assists and builds the capacity of rural landholders through education and incentives, to enhance and improve biodiversity in our Local Government Area (LGA). Council will call for Expressions of Interest (EOIs) from rural landholders across the LGA who are seeking assistance with materials and labour for on-ground works to protect and enhance areas such koala habitat, riverbanks and remnant vegetation. Assistance provided is up to $5000 for primary works and initial maintenance in the first year, with complex restoration projects eligible for second year funds up to $2500. Sites along floodplain riverbanks can apply for up to $10,000 if works include fencing and off-stream watering. The concept of high conservation value (HCV) can be applied to species, populations, habitats or communities, or areas of land that support these HCV elements. Full details of HCV and priority species are included in the BMS document and can be discussed with the Environmental Officers at Council. You can also find HCV areas on Council’s online mapping tool. The floodplains of the Richmond River are a priority to protect and enhance through weed management, revegetation, erosion control and habitat improvement. Retaining, rehabilitating and conserving existing native floodplain vegetation on riverbanks and wetlands is encouraged. Fencing for stock exclusion and off stream watering in sensitive riparian areas and wetlands on the floodplain may be eligible for increased funding (up to $10,000 over two years). 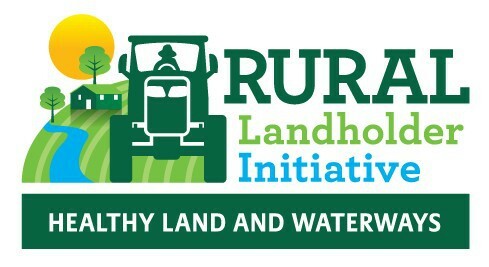 Applicants are advised to consult the recently released Rural Landholder Initiative education booklets for ideas on land management practices that relate to improving and conserving biodiversity across our landscapes and waterways. The booklets relate to healthy landscapes and waterways, as well as four key industries operating in our region. Potential applicants are advised to consult with qualified bush regenerators, Landcare professionals, Council staff, Local Land Services, Rous County Council (weeds and water) and government agents about project planning, action plans and best practice techniques. The most successful projects are those that take a planned approach, are widely consulted and have landholder effort already committed. To be eligible, you must meet the eligibility criteria detailed in the Rural Landholder Initiative Guidelines for Funding. Only landholders who own land within the Lismore LGA are eligible to apply (community and industry groups are not eligible). Lismore City Council staff are not eligible to apply. Projects that are primarily for beautification or improving amenity without significant environmental outcomes are not eligible. Projects are not eligible if they are part of any development consent condition. Applicants must be up to date with rate payments to Lismore City Council for the property associated with the application. All applicants must make an equal cash or in-kind contribution to the project funds and show value for money. Successful applicants must be willing to sign an agreement to maintain the project site beyond the funding period. We STRONGLY RECOMMEND preparing a written plan for your project. Projects that clearly demonstrate where the landholders are already working on a progressive program of works have a much higher consideration when seeking public funding support. Examples of simple project plans are available in our Educational Resources, Booklets and Planning Tools section. Techniques to effectively manage environmental weeds, including camphor laurel, coral trees, lantana, privet etc. The field days are a great opportunity to meet other landholders and to hear about what they have been doing. 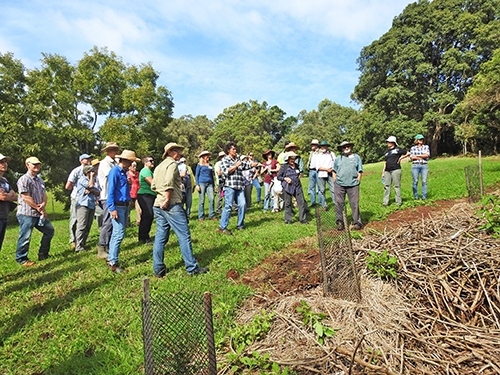 These field days are held on properties where the landholders have demonstrated exceptional land management practices and have great vision to improve their land for biodiversity. Council refers to these landholders as ‘landholder champions’. Rural landholders in the Nimbin area are invited to this field day about restoring dry rainforest and koala habitat, addressing gully erosion and improving aquatic habitats. There will be an optional hands-on plant propagation workshop for those wanting to learn the basic techniques to grow your own local species and save money. Long-term staged dry rainforest restoration and linking habitat corridors using practical weed control techniques. How to create frog habitat on your property. Remediating gully erosion with native plantings. The basics of native plant propagation including seed collection, seed raising and nursery hygiene. The day will include at least two hours of strenuous bushwalking activity in steep and uneven country. A moderate level of fitness is needed to participate. Rural lifestyle landholders looking for practical help to plan a restoration project are invited to this event. The day will involve a practical look at how planning approaches and techniques are used by a local landholder and the Tuntable Landcare Group restoring rainforest habitat on two dynamic and challenging creek bank sites. A minimal chemical injection method for camphor will be demonstrated and discussions of best practice and low chemical weed control will be highlighted. The final session provides the opportunity to speak individually with a range of Natural Resource Management experts and mentors to help you identify priorities and limitations on your own property. To RSVP for any of the field days, phone us on 1300 87 83 87.